In the great Serena Wines family Serenello is born, the new brand that characterises freshness with a complete range of references: still and gently sparkling wines, fully sparkling wines and of course Prosecco, keyplayer in different sizes and varieties. Serenello is the choice for those who love the naturalness and the vivacity of very drinkable wines, which want to be the protagonists at every tasting event. Serenello is a brand which already carries great expectations in its name, which proudly incorporates that of the parent company: an authority and a balance which is ready to take its place, even before it does so on the international markets, in everyone's hearts and palates. 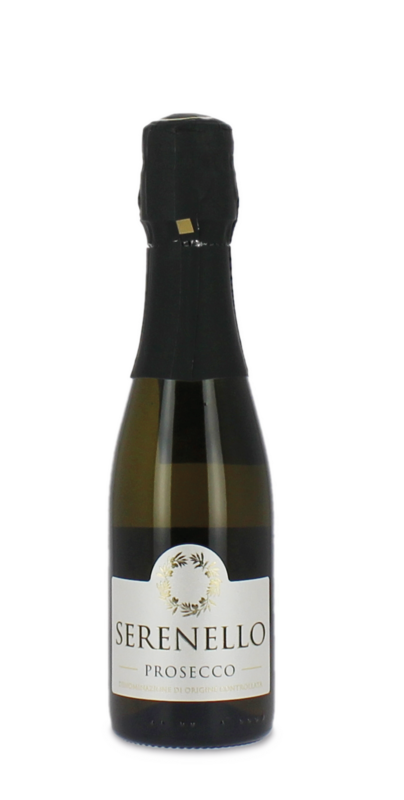 New Prosecco DOC Brut from Serenello, try it and be amazed!